New Zealand should extend regulatory oversight to both custodians and the wholesale managed funds market, according to the International Monetary Fund (IMF). In its recently published Financial Sector Assessment Program (FSAP) for NZ the IMF said while regulation of the country’s funds management industry was “well developed” there remains “scope to consider broadening its perimeter”. For example, the IMF notes NZ wholesale funds management “activities” were exempt from the Financial Markets Conduct Act (FMC) but could be brought under its ambit. At the very least the FSAP report highlights the dearth of information on the NZ wholesale funds industry. “This [wholesale funds] sector may not be significantly larger than the retail sector, but there is insufficient data to assess its risks,” the IMF says. The Financial Markets Authority (FMA) recently said it was scoping out the wholesale market for how it interacted with the more regulated retail space. Tighter regulation should also apply to custody firms in NZ, the IMF says. 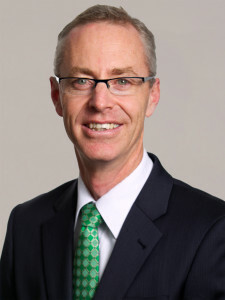 Doug Cameron, head of custodial firm BNP Paribas NZ, said the IMF recommendation was “not unexpected”. “If any change is enacted that would bring us into line with most offshore jurisdictions,” Cameron said. “In the maturing investment environment, where there is also a growing emphasis on investor protection, it makes sense that NZ custodians operate in a licensed environment involving minimum standards and ongoing obligations,” Cameron said. His predecessor at BNP Paribas NZ, Hugh Stevens, said the IMF report should prompt a more informed debate about the role of custodians in the NZ market. Stevens said the 2010 review of the Securities Act – which evolved into the FMC – rejected licensing of custodians with trustee companies (or ‘supervisors’ in FMC-speak) bearing the regulatory burden for the ultimate whereabouts of fund assets. “But very few people involved in the review had custody, operations or back-office experience to understand the risks New Zealand investors take with the safekeeping of their investments,” he said. Stevens said the role of trustee has since been refocused on their fund supervisor role, obscuring some of the risks coming from the technical custody function. “Retail investors in the NZ managed funds market are now shadowed by a strong market conduct regulator,” he said, supported with all the paraphernalia of disclosure and application form protocols. But all of the regulator’s attention is focused on following the application form paper trail rather than the money, Stevens said. “Under the current licensing, the application form might go left and the cheque heads right,” he said. “The regulator heads left with the disclosure statement and application form, as the supervisor heads right with the cheque. For example, Stevens said NZ investors could be pushed down the creditor queue depending on the domicile of the underlying custodian.